Hi family, alumni, and fans, thank you for visiting our page! 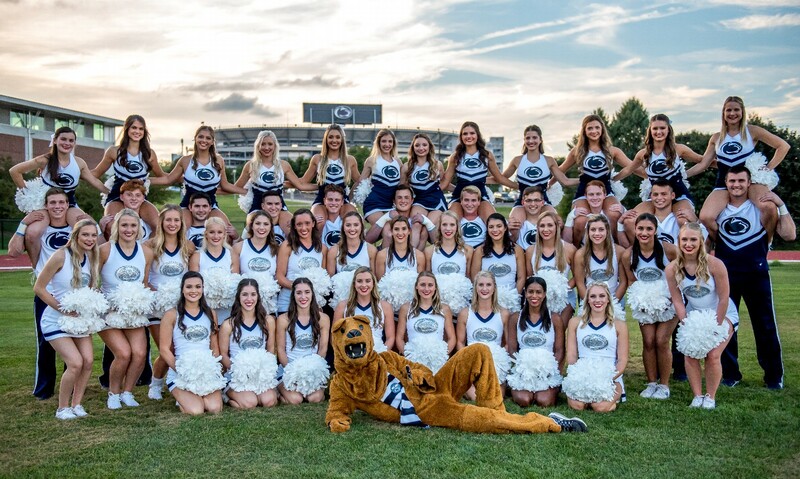 The Penn State Cheerleading Team is one of the many organizations among 16,500 student volunteers that participate in the largest student run philanthropy in the world. We fundraise year round as well as perform at THON events such as the 5K, Family Carnival, and Pep Rally. The Fundraising efforts culminate in a 46 hour, no sitting, no sleeping dance marathon each February to celebrate our survivors, remember those we've lost and take a stand-- all in hopes of one day dancing in celebration. As an organization, our fundraising efforts last year have granted us four dancers in THON 2019 that will represent the Penn State Cheerleading team. We hope you consider donating to our organization so we can continue to fight against pediatric cancer and help turn childhood dreams into reality. Since 1977, THON has raised over $157 million to Four Diamonds at Penn State Children's Hospital, providing comprehensive care for 4,000 families and funding critical research to take this fight beyond central Pennsylvania and spread hope around the world. We work year-round to provide both financial and emotional support for our families, ensuring that they never have to face cancer alone. As Penn State Cheerleaders, it is our goal for every little cub to grow up to be a Nittany Lion. Despite advancements in research and treatment, this may not become a reality for some. With your help, we will continue to fight for the day that no parent has to hear the words, "your child has cancer". It takes each and every student, volunteer, alumnus, donor, and supporter to spread awareness of THON's mission across the country and throughout the world. With your dedication and support of THON, together we will make a difference in the life of a child. Join us in the fight, For The Kids. 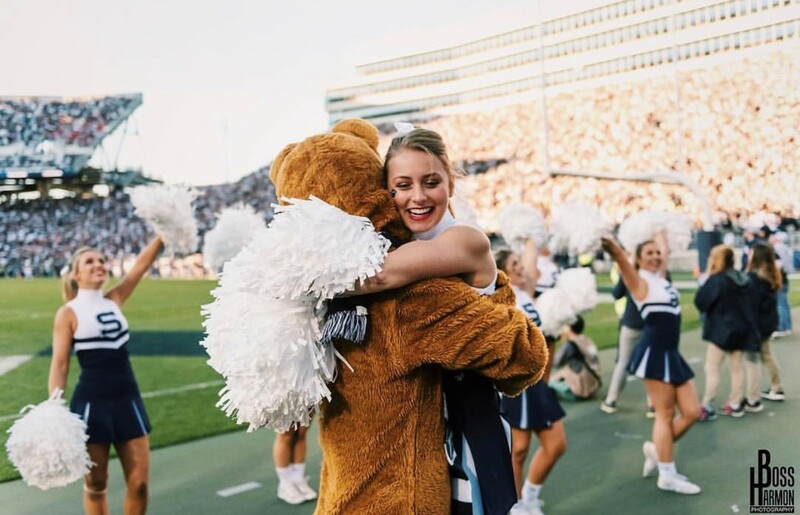 Allie Sauers is a senior with a double major in English and Political Science and has been a member of the Penn State Cheerleading Team since her freshman year. For the last two years, she has been a committee member of Dancer Relations and has helped support dancers through every second of their experience. Her favorite THON memory is standing with her committee for the Final 4 hours and becoming so close with people who shared the same passion and goal as her that she wouldn’t have met without THON. Viola Prado is another fourth year senior on the Penn State Cheerleading Team. She is a Biology major and has been involved in THON since she started at PSU. Her freshman year she was involved with the organization TETRA and has remained very active in our orgs events such as canning trips, Athlete Hour and Pep Rally. Last year, she continued to grow her involvement and became a Dancer Relations Committee Member. During THON 2017’s Athlete Hour, Viola remembers painting faces and doing the line dance with the kids and that is something she will always remember! 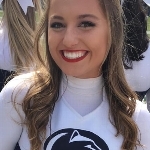 Trisston Conway is a senior captain studying Public Relations and has been a Penn State Cheerleader for the last two years. Trisston was apart of Ohana, special interest organization, in which he went on canning trips and participated in various fundraising activities such as bake sales and date auctions. 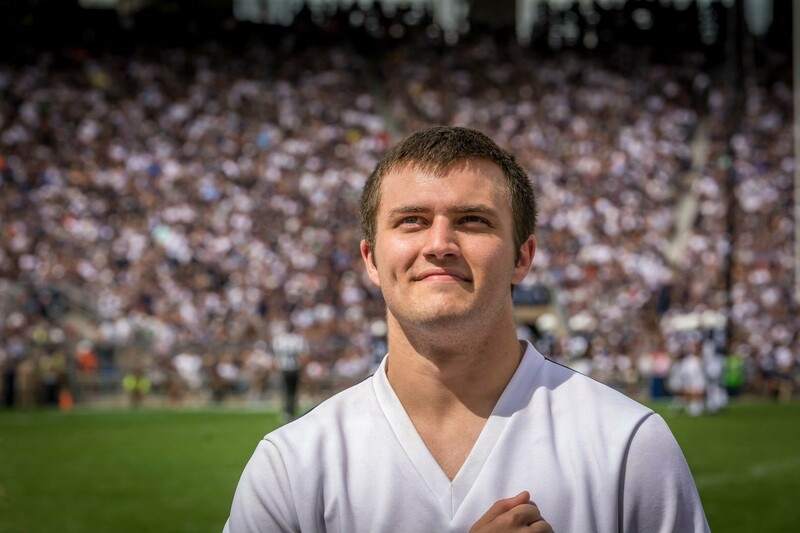 Trisston will be representing Penn State Cheerleading for 46 hours and is most excited to see hard work of the THON volunteers pay off when the total for THON 2019 is revealed, all For the Kids! 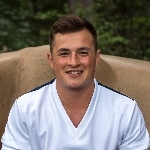 Brad Carle is a graduating senior studying Economics and has been on the Penn State Cheerleading Team for the last 3 years. Brad has spread THON’s mission to alumni and fans from around the country while canning at Purdue in 2016. He also stood in the stands for 21 straight hours supporting our organizations dancers. Brad is most excited to spend time and play with all of the THON kids and watch their faces light up the room during THON 2019. The Penn State Cheerleading Team is so excited to support and cheer on Allie, Viola, Brad, and Trisston during the 46 hours they will be standing For The Kids. We hope you will join us by donating to aid in the fight against pediatric cancer. One day we will dance in celebration but until then we will dance for a cure!